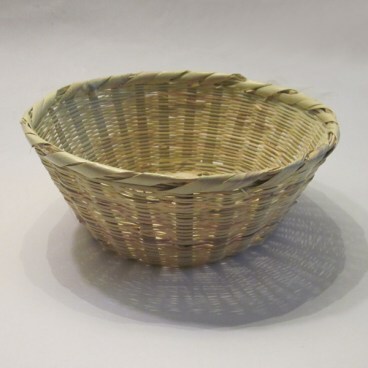 The natural wicker baskets normally do need any special care since they don’t come in contact with the food. Never place the baskets in a dishwasher. If they do become soiled, hand wash the baskets using mild soap and warm water, using the pressure of the water from the faucet to wash out particles between the wicker strands. Towel dry the baskets, and leave to finish air drying before putting them away. If over time the baskets develop a musty odor, you can also add a teaspoon of baking soda to the dishwater as you wash them.